Anatomy and embryology are the scientific disciplines that study the morphology and (mal)development of organisms. With respect to the human body, these disciplines have a long-standing tradition, which in Amsterdam dates back to Nicolaes Tulp (1593-1674, Figure 1) and the dawn of modern medicine. Our group focusses on the three research lines below, for which we dispose of a body donation program, several osteological collections, a cardiac malformations collection, a biobank of donated embryos and fetuses, and a human taphonomic facility for decomposition studies. In 2009 the Board of Directors of the Amsterdam UMC, University of Amsterdam recognized the importance of a modern update of the description of human embryology. Therefore they granted a project to construct a 3D Atlas of Human Embryology. 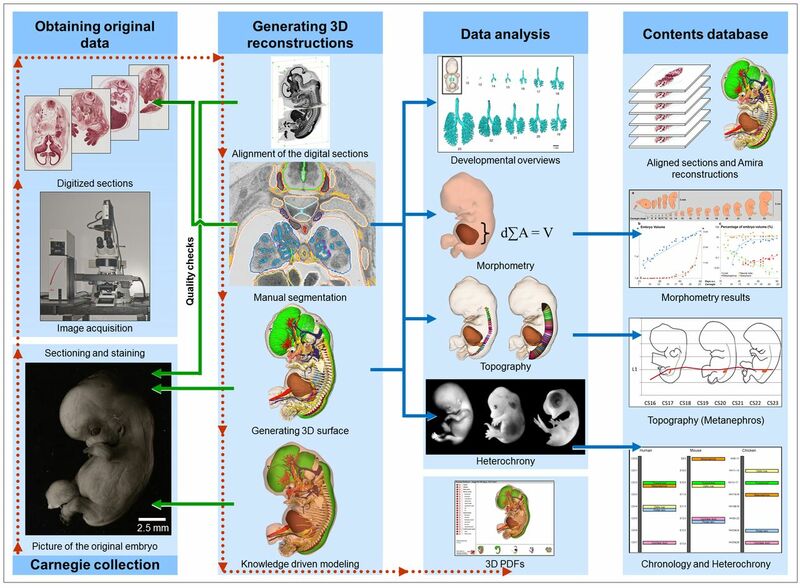 This labor-intensive project (Figure 2) has resulted in interactive 3D reconstructions (Figure 3) and a database of the development of the major organ systems in every embryonic stage from their first appearance onwards. This 3D interactive embryology atlas (Figure 4 and 5) was published in Science in 2016 and is made freely available to the scientific community at www.3datlasofhumanembryology.com. Comments, by press, clinicians and researchers, on this publication made clear that the atlas, that now spans human development from 2 weeks to 2 months, should be further extended, covering the fetal period from 2 months of gestation until birth. The experience that our department gained during the project that resulted in the 3D Atlas of Human Embryology now serves to extend this 3D atlas to the fetal period. Such a project requires more sources of human material. In September 2017 we started the AMC TOP study, in close collaboration with Prof. dr. Raoul Hennekam of the Department of Pediatrics and Prof. dr. Eva Pajkrt of the Department of Gynecology & Obstetrics. This is a unique biobanking opportunity in which parents of healthy and malformed aborted or deceased human fetuses below 24 weeks of pregnancy are given the choice to donate their fetus to science. 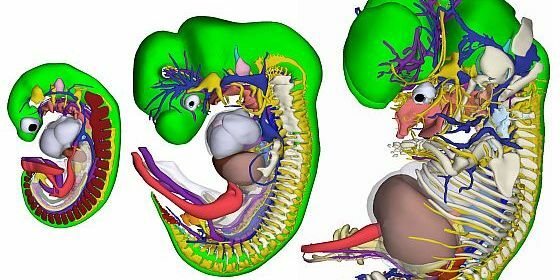 A 3D Atlas of Human Fetal Anatomy will help in the understanding of the development, growth and positioning of individual organs after the embryonic phase. This knowledge can help interpret clinical images and help explain the etiology of congenital malformations. Due to a shift in what is considered acceptable evidence in court, much has been changing in the field of forensic anthropology and taphonomy. In an effort to support the scientific research needed to comply with the proposed legal standards several research lines with a forensic focus have been set up in the department. 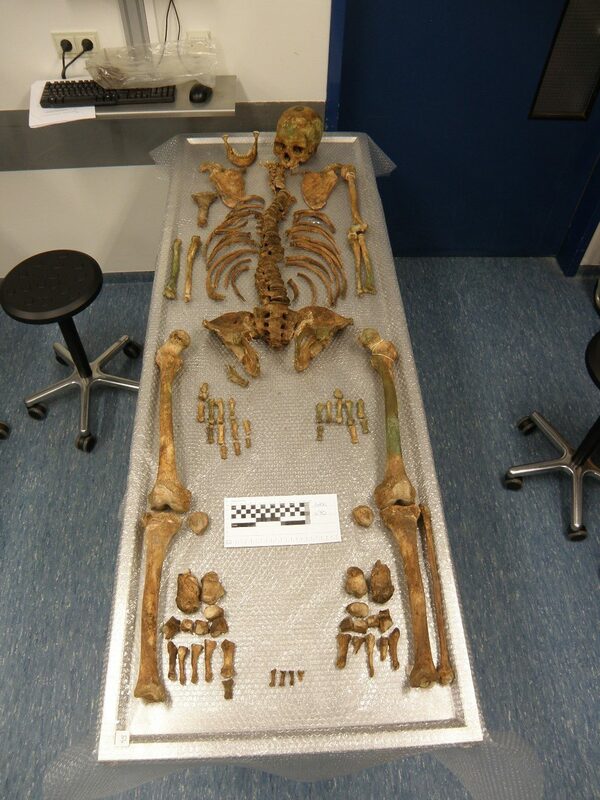 One of these focusses on validating the use of patient CT-data as a reliable and accurate source of information for the validation and development of forensic anthropological techniques which, historically, were developed with the use of large physical human skeletal collections. Given the importance of validation for the continuation of forensic anthropology as a discipline within the legal system and the lack of contemporary large skeletal collections, the search for a reliable alternative data source is of utmost importance. Once the reliability and accuracy of 3D reconstructions (Figure 6) obtained from patient data has been confirmed we aim to proceed by validating techniques regularly applied during forensic anthropological investigations and developing new techniques to further aid biological profiling based on human skeletal remains. 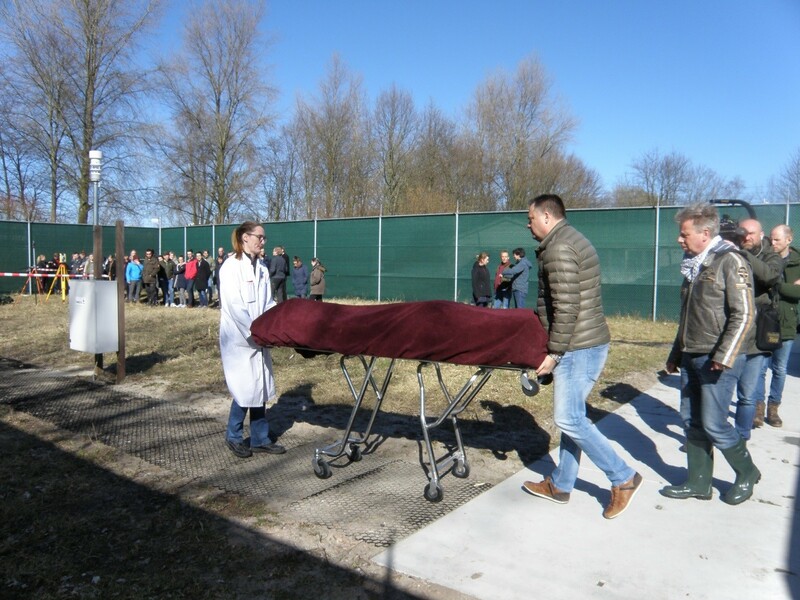 In order to facilitate research in the field of forensic taphonomy a human decomposition research facility was opened in 2018. This facility, ARISTA (Amsterdam Research Initiative for Sub-surface Taphonomy and Anthropology) is the first of its kind in Europe and gives (inter)national researchers the opportunity to investigate various taphonomic processes in environmental condition unique to the Netherlands (Figure 7). The research projects currently facilitated by ARISTA varies from temperature studies in relation to human decomposition and grave detection to entomology. ARISTA only facilitates studies on interred human remains. The department also has access to three archeological skeletal collections. These collections are included in various osteoarcheological research projects focusing on the development of new techniques to aid in biological profiling and projects with a paleopathological focus. The collections are also key in the physical- and forensic anthropological courses organized by our department to give participants hands-on experience (Figure 8). Technological advancements in medical imaging and 3 dimensional (3D) quantitative image analyses provides new ways to study the (functional) anatomy. The projects in this research line focus on the human locomotion system. In cooperation with the departments of Orthopeadic Surgery, Radiology, and Biomedical Engineering and Physics we aim to provide new insights, both at basic science level as well as applicable knowledge and tools. We use Computer Tomography and other imaging modalities in combination with highly accurate and objective image analysis tools (Figure 9). We include human bodies from our body donation program, healthy subjects and patients for our data collection. 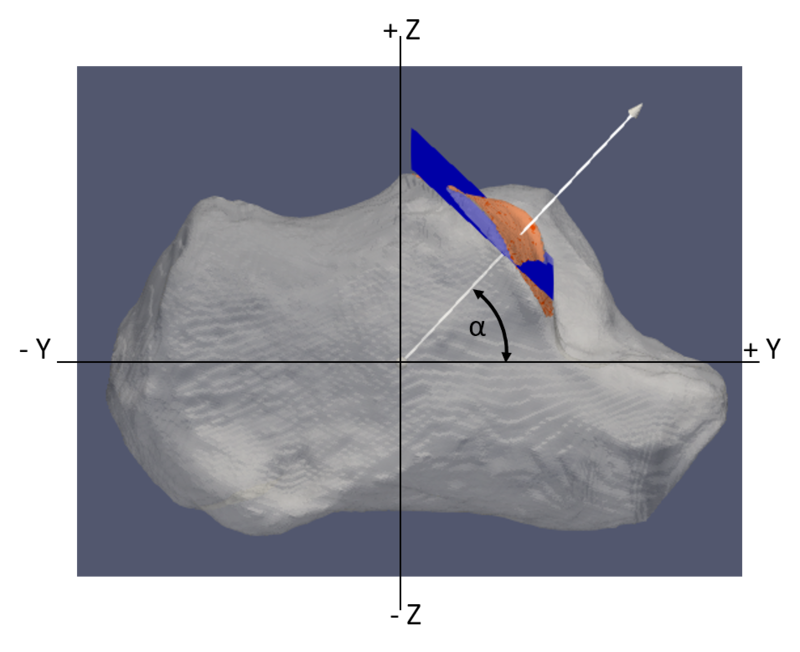 We have quantified the range of motion of the hindfoot, using geometrical shapes to model the anatomy and made 3D measurements (Figure 10). 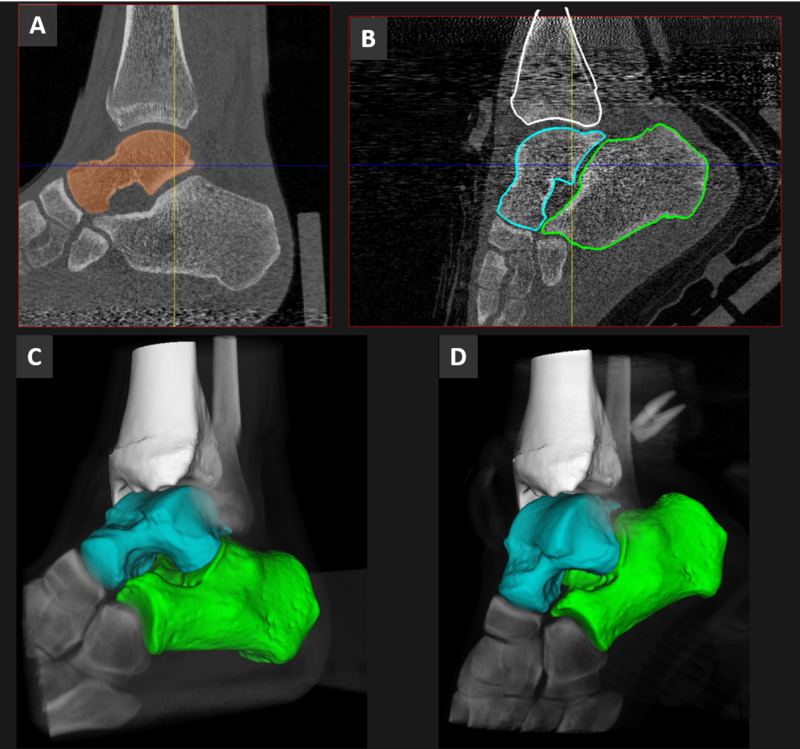 The current projects focus on the hindfoot alignment, the morphology of the subtalar joints, and imaging under weight bearing conditions. Figure 1. 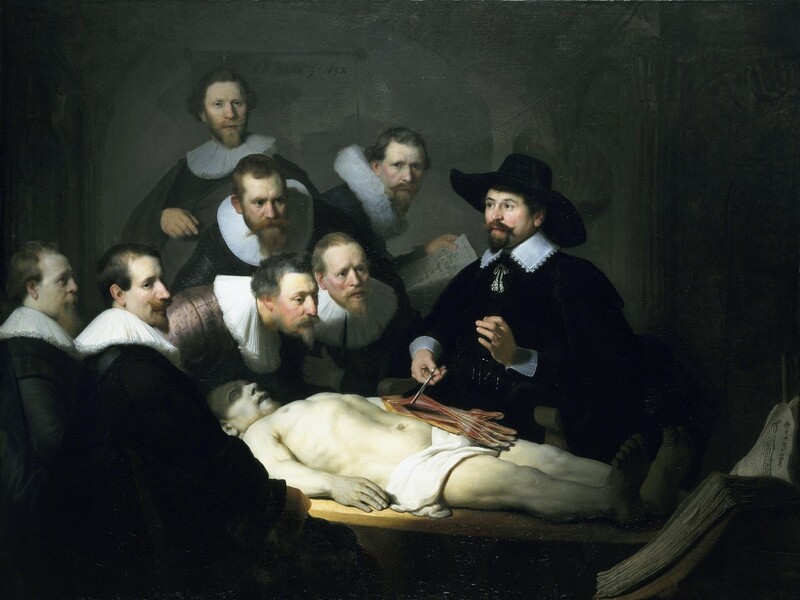 The Anatomical Lession of Nicolaes Tulp (by Rembrandt van Rijn). Figure 2. The 3D Atlas; a project by students, for students. Between 2009 and 2016, over 75 students, under the supervision of embryologists of the Department of Medical Biology, have invested over 45,000 hours of work. The result of this effort is an embryology atlas with more than 15,000 manually annotated sections and a duplicate series of fully reconstructed human embryos covering the phase of organogenesis, between Carnegie stage 7 (15–17 days old embryo) and 23 (56–60 days). Figure 3. Flowchart of three-dimensional reconstruction, model generation, and data analysis. The 3D Atlas of Human Embryology is based on digital images of serial sections of 34 human embryos of the Carnegie Collection between stages 7 and 23. The software package Amira is used to align the sections and to create the 3D reconstructions of all developing organ systems. Figure 5. Peeking under the skin of an embryo. 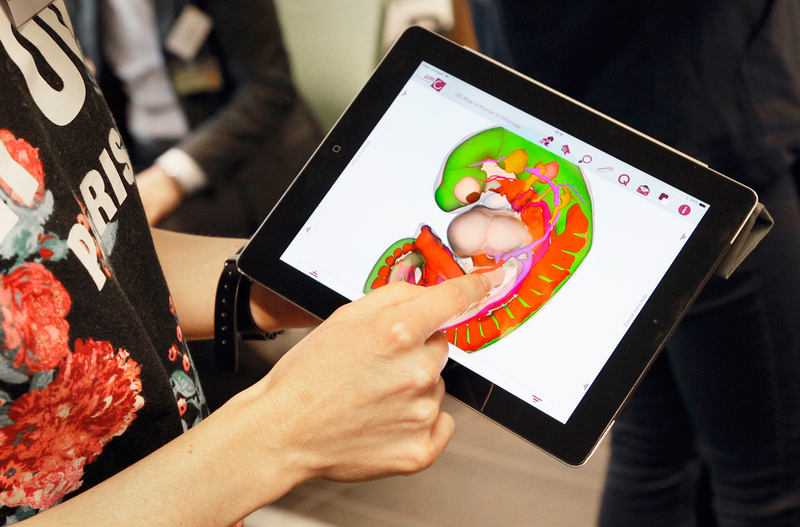 The 3D models are presented in an interactive fashion, which facilitates the exploration of the complex 3D relations between the different organs. This allows the student or researcher to develop an independent view on spatial relations. All models are freely available at www.3datlasofhumanembryology. Figure 8. Lay out of an archeological skeleton during the elective course Physical and Forensic Anthropology in the UvA master Forensic Sciences. Figure 6. 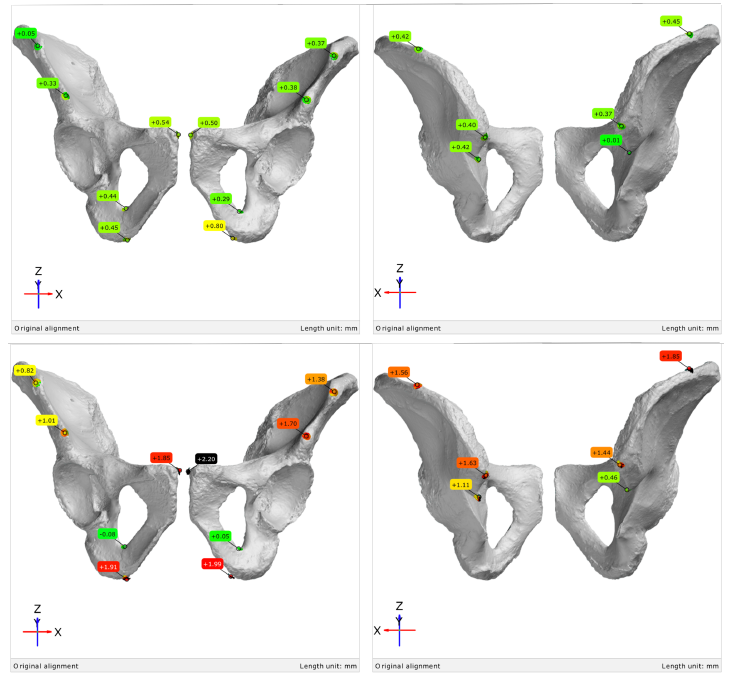 Example of differences in data from anatomical landmarks obtained through optical scanning of dried human pelvic bones compared with CT data obtained directly postmortem (upper lane) and CT data obtained after explantation and drying of the skeleton (lower lane). Figure 9. Example of 3 dimensional morphometrical analysis. Lateral view of right calcaneus. The posterior facet of the subtalar joint was isolated from the calcaneal surface model and a plane was fitted to the facet. The normal of the fitted plane is represented as the white arrow. The origin of the coordinate system was placed in the centroid of the calcaneus. Figure 7. Inhumation of the first body on ARISTA, 20th of March 2018. Figure 10. Representation of a quantitative analysis of the motions of the hindfoot bones between two different foot positions. A: segmentation of one of the bones (talus) in the CT image. B: bone contours from the initial segmentation are laid over the bones in a CT image of the foot in a plantar flexion position. C and D: representation of the 3D surface models in two different foot positions. For publications by this research group, click here.